Is Jussie Smollet leaving Empire? That’s what he has fans wondering after a semi-cryptic tweet he sent out following the show’s explosive episode Wednesday night. 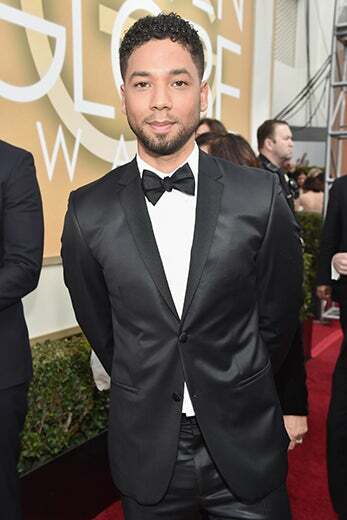 Smollett’s character, Jamal Lyon, has played a central role in the hit show’s plot from the beginning of season 1 and propelled him to superstardom in a short period of time as one of the many actors to emerge as a fan-favorite. However, his latest Twitter commentary appears to hint at his departure from the series. The episode ended with Jussie’s character still alive but in surgery and although previews for next week’s finale show certain members of the Lyon family in attendance at what looks like Hakeem’s wedding, many fans are interpreting his tweet to mean that he won’t be back next season. Since joining Empire, Jussie has been involved with several new projects from endorsements to musical appearances to other acting roles. In addition to signing to Columbia Records, he also recently appeared in an episode of WGN’s groundbreaking new series Underground, which stars his sister Jurnee Smollett-Bell. We’d hate to see Jussie leave ‘Empire’ but, he’ll certainly have plenty on his plate should he choose to venture on to new opportunities. What do you think the tweet means? Can you imagine ‘Empire’ without Jussie?